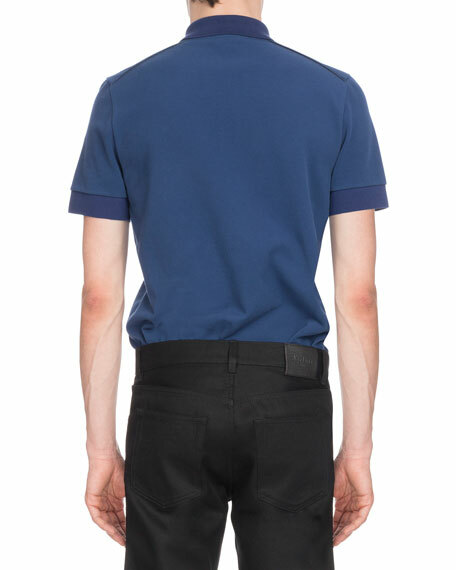 Berluti polo shirt in two-tone knit. 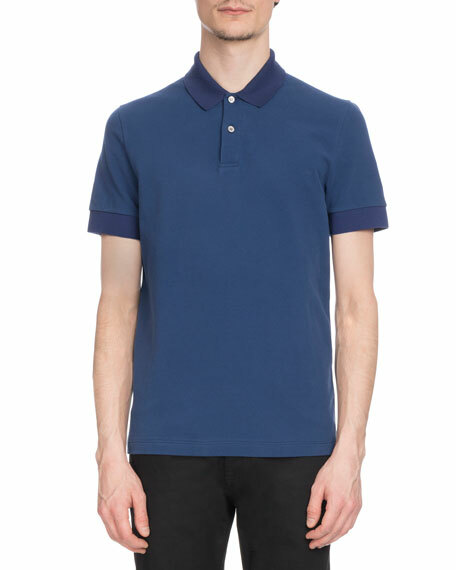 Bally polo shirt in piqu?? knit. Striped collar with logo embroidery. Three-button placket. Short sleeves. Ribbed cuffs. Pullover style. Vented hem. Cotton. Made in Portugal. 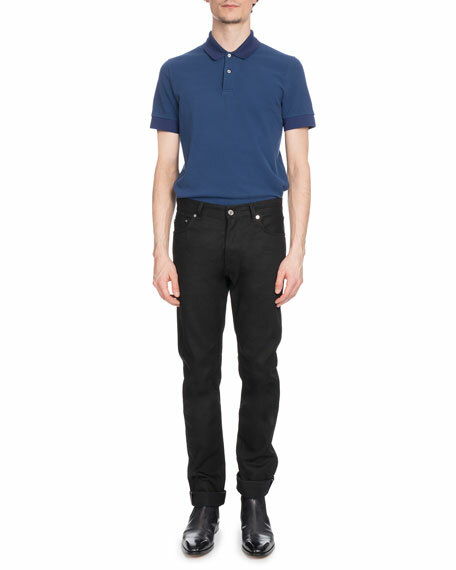 Model's measurements: Height 6'1"/185cm, waist 32"/81cm, typically wears size M.
Neil Barrett polo with military star print. Spread collar; three-button placket. Short sleeves; banded cuffs. Regular fit. Straight hem. Pullover style. Cotton. Made in Italy. Model's measurements: Height 6'1"/185cm, waist 32"/81cm, typically wears size M.
Orlebar Brown "Sebastian" polo shirt in tailored design. Spread collar; three-button placket. Short sleeves. Curved hem. Pullover style. Linen. Made in Portugal. Model's measurements: Height 6'1"/185cm, waist 32"/81cm, typically wears size M.